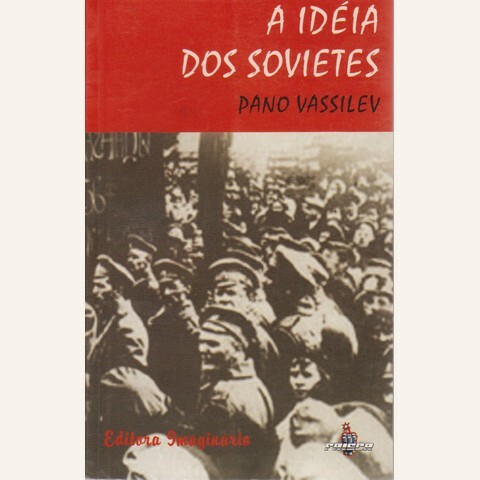 The Kate Sharpley Library is seeking help typing a handwritten manuscript of an English translation of the 1933 work of the Bulgarian anarchist, Pano Vassilev, The Soviets Idea (or “The Idea of the Soviets”), in order to prepare it for publication. Pano Vassilev (1901-1933) was a prominent Bulgarian anarcho-syndicalist. He worked in Argentina for a few years and became acquainted with anarcho-syndicalism through the anarchist trade union federation, the FORA. He then spent some time in France, where he came into contact with Pierre Besnard and other French anarcho-syndicalists. Upon his return to Bulgaria, he became a leading advocate for anarcho-syndicalism within the Bulgarian anarchist movement. He was assassinated by the Bulgarian police in April 1933 as he was preparing to launch an anarchist appeal to Bulgarian workers on the eve of May Day demonstrations. In Volume Two of Anarchism: A Documentary History of Libertarian Ideas, I included a 1945 manifesto from the Bulgarian Anarchist Communist Federation, which melded together anarcho-syndicalist and anarchist communist approaches. The BACF, as with Vassilev, rejected both dictatorship and parliamentarianism. 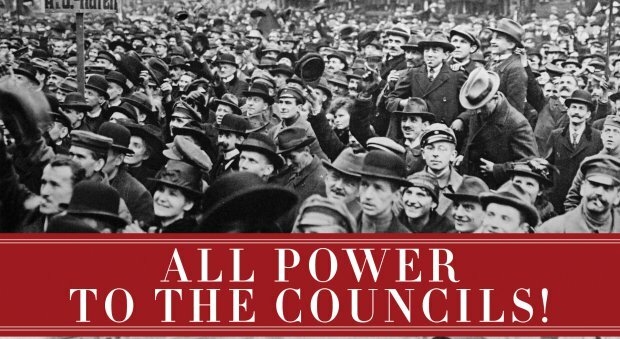 Below, I set forth some passages from Chapter One of Vassilev’s book, which focuses on the Bolsheviks’ antipathy toward council forms of working class self-organization, and then their cooptation of the soviets during the Russian Revolution. I have omitted the footnotes, which can be found here. The theory of soviets has no connection with the soviet system of government, despite what most people believe. On the contrary, we are entitled to argue the very opposite, namely, that the soviets idea, the idea of social life being organized along the lines of a new, free, communist system, with the production and distribution of goods in the society of the future being regulated through the good offices of meetings and working encounters between direct delegates, subject to replacement at all times and possessed of no authority, from trade union organizations and distribution agencies… this idea has nothing in common with the characteristic peculiar to the Bolsheviks, their statist inclinations and their dictatorial system in the regimentation of social life. If, in spite of that, the soviets idea is still identified (especially in Bulgaria) with Bolshevism and with the current Soviet system, with their statist dictatorship, this is due primarily to the fact that the Bolshevik Party, for a variety of reasons, has managed to impose and to consolidate its dictatorial authority in Russia. In the very place where the proletariat first attempted to implement the soviets system in practice and on a huge scale. And if one adds to this, simple ignorance of the history of the labour movement and more especially of its left wing, the confusion is the more readily understandable. Even in our own circles, there are anarchists who look upon soviets as a purely Bolshevik invention and do not distinguish them from Bolshevik dictatorship. It is not hard to demonstrate that, fundamentally, Bolshevism and the soviets idea in its proper and original sense, are utterly unconnected. Above all, one has to remember that, according to its own supporters, Bolshevism is the “true”, “the only properly understood marxism”. 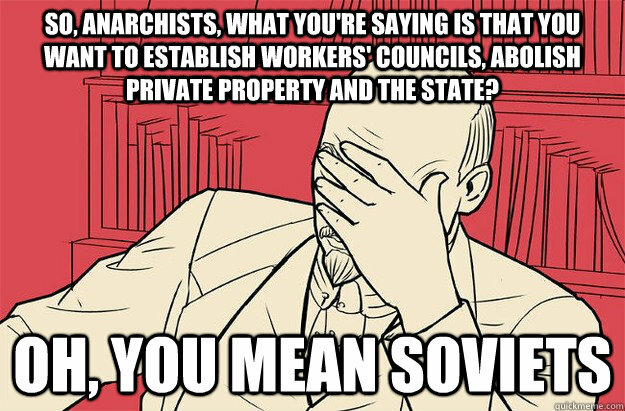 Marx and Engels, the founding fathers of the marxist ideology, never pronounced themselves in favour of soviets. They wrote numerous books in which they expounded in detail not only the theoretical and philosophical principles, but also the constructive program of what they themselves dubbed “ scientific socialism”. But in none of their works (whether these be books, pamphlets, programs, letters or critical notes) will one discover a single line on the basis of which it might be argued that “the great teachers of the proletariat” envisaged “workers’ councils” as organs which might be used by the proletariat in its struggle so as to marshal its efforts, or in some future socialist order, to organize production, distribution and social life in general, or even in the so-called ‘transitional’ period. Likewise, it is impossible to discover one single word to the effect that workers’ councils are organs of struggle in the works of marxism’s students and publicists who have thought and put pen to paper since Marx and Engels. This is quite natural, since marxism was conceived, formed and evolved precisely as a parliamentary, statist variant of socialism. Such it was, and such essentially, it remains, despite the soviet backdrop erected by the Bolsheviks in 1917. The split which took place in the first international in 1872 was the logical outcome of the incompatible and profoundly antagonistic views of the marxists and the bakuninists on the very issue of the relationship between workers’ movements and the modern bourgeois state generally, and its legislative organ, parliament in particular. The marxists, led by Karl Marx himself, clearly and categorically described themselves as parliamentarians and statists. And the bakuninists were dubbed anarchists because they pronounced themselves against all forms of parliamentarianism. In the view of Marx, Engels and their disciples, the social revolution is still regarded as a series of social reforms effected by a political party, describing itself as socialist or proletarian, which has taken power. This is to say that, that political party has achieved mastery of the State’s legislative and executive arms, parliament, the police, the army and the courts. The so-called dictatorship of the proletariat, as conceived by the founders of marxism and their supporters, is the dictatorship of a parliament in which the “representatives of the proletariat” have managed to secure a majority. This notion is spelled out in the Communist Manifesto wherein there is mention of conquest of the machinery of State and of “centralization of credit by means of the State.” In Anti-Dühring, Engels writes: “The proletariat takes charge of state power and transforms the major means of production into State property” and “The State emerges truly representative of the whole of society”. In their immediate aims the marxists have always employed the expression “People’s State” (Volkstaat) complete with a legislative assembly, i.e. a parliament wherein the majority is held by the “people’s representatives”. In the 12 June 1845 issue of the Neue Rheinische Zeitung, Marx even wrote bluntly that, “following the proletariat’s victory” a constituent assembly with dictatorial powers would have to be summoned. And in his mind this was “dictatorship of the proletariat”. From this we may conclude that for Engels and so for Marx and for Marxists, the bourgeois democratic republic is the political form of socialism on the morrow of the Revolution. There is no other form in which the proletariat’s dictatorship may be expressed, because the Great French Revolution has shown (! )that the democratic republic is its specific form. i. The sovereignty of the people, which is to say, the concentration of the entire supreme power of the State in the hands of a legislative assembly made up of the people’s representatives. ii. The right of eligibility (general, equal and direct, for all citizens aged more than 20 years) to the Constituent Assembly and to the organs of local power; and the entitlement of every person elected to be appointed to any parliamentary position. While pursuing its immediate objectives, the Russian Social Democratic Labour Party supports any revolutionary opposition movement directed at a radical political change, and categorically repudiates any schedule of reforms that would reinforce the police and administrative surveillance of the labouring classes. “Resolution on the matter of the party’s relations with the Duma (the Russian Parliament): the people must be given an explanation of the impossibility of achieving political freedom by the parliamentary route, as long as power remains in the hands of the tsarist government; the necessity of an open struggle by the masses of the people against the armed might of absolutism, as the only chance for the revolution to assure itself of a total victory; the transfer of power into the hands of the people’s deputies and the summoning of a constituent assembly with equal, direct and secret ballot. “That at the moment of revolutionary eruption, it seems possible (!) to organize or to employ for the ends of the social democracy the workers’ non-party formations, such as, say, the soviets of workers’ representatives, etc. These quotations from the program of the Russian Social Democratic Labour Party (in which the Bolsheviks were the majority) and the resolutions regarding that party’s attitude to the Duma and the projected non-party “congress of workers” indicate that the Russian “Marxist – Leninists”, even after the 1905-1906 experience, kept the faith with the teachings of Marx and Engels and went on regarding as their own the “specific formula” according to which “the dictatorship of the proletariat” was to be a democratic, parliamentary republic and not the workers and peasants’ soviets. And if, after the October uprising (1917) they jettisoned their old parliamentarian and non-revolutionary democratic standpoint vis-à-vis the constituent assembly and became “pro-soviets”, this was purely and simply under compulsion and because they could not do otherwise. Quite by contrast the anarchists, or rather those of their number who were for the soviets, looked upon them as “executive organs of the will of the labouring people” From June or July 1917 on, they placed themselves at the head of the monthly assemblies which had rallied around the councils of the proletariat and against the Constituent Assembly. As for the Bolsheviks, they persisted in regarding as possible a “revolutionary overhaul” of the national assembly and adopted no clear and definite stance on the question of the soviets’ role and mission in the proletarian revolution. It is well known and the Bulgarian Bolsheviks concede this, that up to the very last minute before the October rising, the majority of the party’s central committee opposed it, and that Zinoviev, Kamanev and others played the dismal role of typical opportunists and counter-revolutionaries during those decisive days. Those gentlemen who subsequently pronounced themselves “authentic” and patent revolutionaries and who during the Kronstadt Revolt of 1921 against the Bolshevik authorities whom they represented dared label the Kronstadt sailors as “counter-revolutionaries”, these gentlemen funked the fight at the crucial moment for the real proletarian revolution. That the Bolshevik Party was truly, up to the last moment before the dissolution of the Constituent Assembly, in favour of it and that it was compelled to amend its anti-soviet stance and moreover, to embrace the watchword “All power to the soviets!” as soon as it was confronted by the fait accompli of the dismissal of the Constituent Assembly, is evidenced by the testimony of Leon Trotsky : “ Our party did not reject democracy, taking account of the certain priorities of political agitation in this lawful transition towards the new regime. Out of this came our attempt to convene the Constituent Assembly… The constituent assembly proved an obstacle to the revolutionary movement and was swept aside”. And, truth to tell, one can only understand the about turn in terms of the need to readjust to the facts. The Bolshevik Party suddenly did a somersault a propos of the soviets and the Constituent Assembly in 1917-1918, under pressure from the astute and far-sighted Lenin. An exposition of the facts shows that, faced with the choice of being faithful to Marxism and parliamentarianism by clinging stubbornly, come what may, to the Constituent Assembly and opposing the transfer of power implicit in ‘All power to the soviets!’, with the risk of being “swept aside” by the labouring masses from the theatre of the social struggle as a political party identified with the Constituent Assembly (as befell all the other ‘socialist’, ‘worker’ and ‘labour’ parties), the Bolsheviks repudiated the Constituent Assembly and temporarily fell into line with the surge from the masses by swimming with the current so as to await the opportune moment to annihilate the ‘soviets,’ to strip them of their ‘power’ and to concentrate power by a round-about route into their own hands, no longer through the Constituent Assembly plan of course but rather through the agency of a central executive committee of the soviets. And despite the prevailing consensus in the party’s central committee – that there be no surrender to the enthusiasm of the masses – Lenin, though in the minority, correctly grasped with his expansive mind the dismal fate which lay in store for the party unless it fell into line with the inclinations of the masses. Lenin announced that the party was with the movement of the workers and peasants and with its outlook. He announced that he was taking the majority on the central committee to task for it was at odds with the wishes of the masses and defaulting upon its revolutionary duty. He unreservedly embraced the slogan of ‘All power to the soviets!’ and, by decree, changed the party’s name to ‘communist’ and for the time being, toed the communist line. But this did not last long. After it had been announced that the counter-revolution had been defeated, and thanks to Lenin’s bold stratagem, the Bolshevik Party managed to secure a majority in the Pan-Russian Congress of Soviets and on the central executive committee of the soviets. This signalled the start of centralization within that institution (in which the Bolsheviks always retained the upper hand) of initiative and rights. Indeed “by a round-about route” there was a homecoming to the old attitude: all of the soviets’ rights had been cancelled “temporarily” to begin with, and then for good and were now soviets in name only. “But as long as a country is governed by the dictatorship of one party, the workers’ and peasants’ councils obviously lose all their meaning. They are reduced to the passive role played in by-gone days by the States-General and parliaments when these were summoned by the monarch and had to contend with an all-powerful King’s Council”.